Develop Workflows Directly Within Unified Agent Desktop. Create workflows quickly and easily with on-demand functionality, without ever leaving Unified Agent Desktop. Easily create dynamic, conditional logic-based workflows and scripts. Admins can create scripts from within their desktop instance that will automatically show on the agents' desktops based on some telephony platform event or other event. 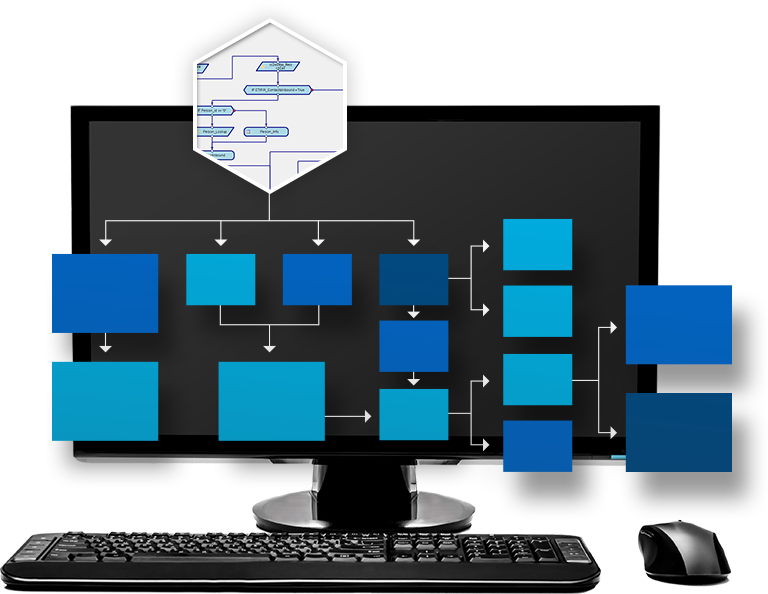 Workflows can feature dynamic “decision tree” scripts that lead users along different paths based on contextual information. DSE was designed for fast, basic dynamic decision logic scripts but can support complex applications when they are needed. Scripts can be available and active in the UAD as soon as they are created. Implement and script in a test environment before deploying to production. Three dynamic case studies. One powerful solution. Download RiverStar case studies to learn how other leading organizations created dynamic contact center efficiencies.